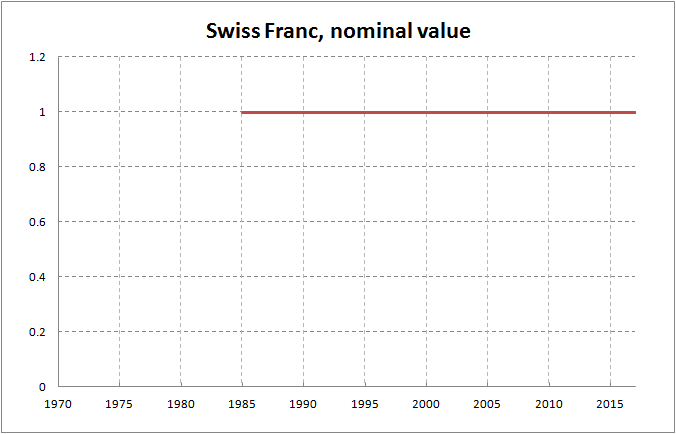 The half-life of swiss franc is 14.58 years. 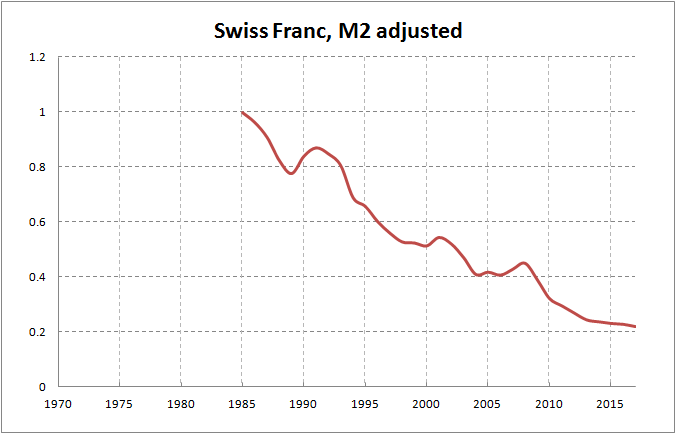 Swiss franc is losing half of its value every 15 years. Longest half-life I have ever recorded. Thanks on your marvelous posting! I genuinely enjoyed reading it, you might be a great author.I will be sure to bookmark your blog and definitely will come back in the future. I want to encourage you to ultimately continue your great writing, have a nice morning! Exceptional post however , I was wondering if you could write a litte more on this topic? I’d be very thankful if you could elaborate a little bit further. Thank you! I absolutely love your blog and find nearly all of your post’s to be just what I’m looking for. Does one offer guest writers to write content in your case? I wouldn’t mind creating a post or elaborating on a number of the subjects you write concerning here. Again, awesome web site! For most recent information you have to pay a visit the web and on world-wide-web I found this web page as a best web page for newest updates. Pretty nice post. I just stumbled upon your weblog and wanted to say that I’ve truly enjoyed surfing around your weblog posts. After all I’ll be subscribing to your rss feed and I’m hoping you write once more very soon! At this moment I am ready to do my breakfast, after having my breakfast coming again to read additional news. Good answers in return of this difficulty with genuine arguments and explaining everything on the topic of that.